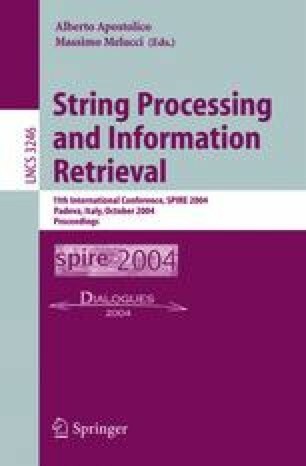 The objective of this paper is to present an extension to the set-based model (SBM), which is an effective technique for computing term weights based on co-occurrence patterns, for processing conjunctive and phrase queries. The intuition that semantically related term occurrences often occur closer to each other is taken into consideration. The novelty is that all known approaches that account for co-occurrence patterns was initially designed for processing disjunctive (OR) queries, and our extension provides a simple, effective and efficient way to process conjunctive (AND) and phrase queries. This technique is time efficient and yet yields nice improvements in retrieval effectiveness. Experimental results show that our extension improves the average precision of the answer set for all collection evaluated, keeping computational cost small. For the TReC-8 collection, our extension led to a gain, relative to the standard vector space model, of 23.32% and 18.98% in average precision curves for conjunctive and phrase queries, respectively. This work was supported in part by the GERINDO project-grant MCT/CNPq/CT-INFO 552.087/02-5 and by CNPq grant 520.916/94-8 (Nivio Ziviani).